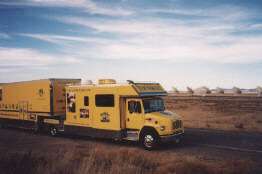 Team Wash Guys Mobile Command Center visits the VLA (Very Large Array). 27 radio telescopes are listening in outer space for clues which will help scientists unlock the mysteries of the universe. 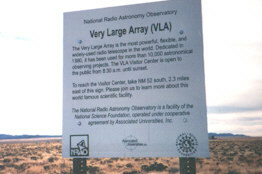 Each telescope can be moved along 3 sets of tracks in a "Y" configuration. 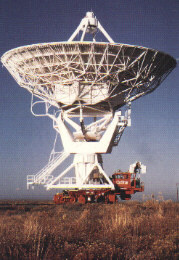 Telescopes pivot on 3 axis. It is unbelievable to see the very large array up close. You should go and see it. Wash Guys salute the VLA and it's work. We condemn the lack of funding for it's on-going work. We hope one day to be it's official washing contractor because clean dishes increase efficiency.